An Oriental Pied Hornbill at the Assam State Zoo in Guwahati. 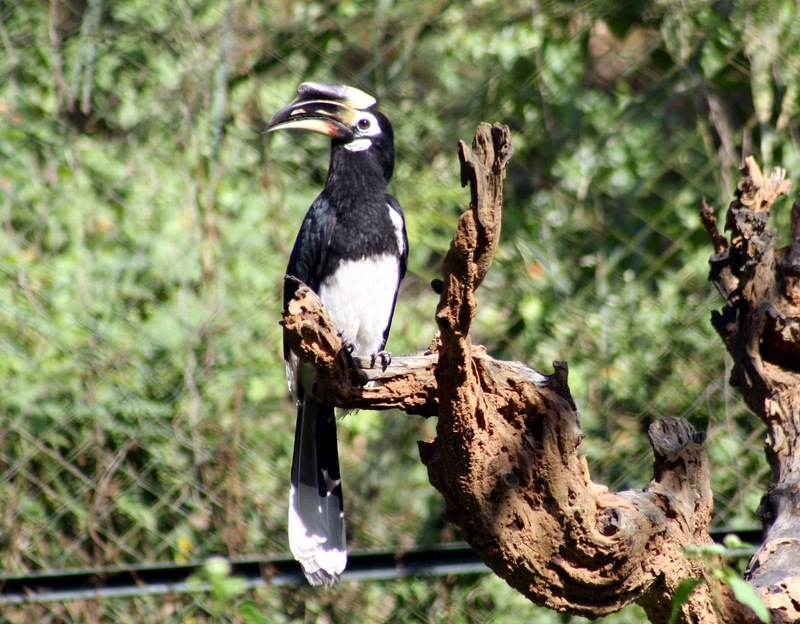 The Oriental Pied Hornbill (Anthracoceros albirostris) is a species of hornbill in the Bucerotidae family. It is found in much of the Indian Subcontinent and Southeast Asia, ranging across Bangladesh, Bhutan, Brunei, Cambodia, China, India, Indonesia, Laos, Malaysia, Myanmar, Nepal, Singapore, Thailand, and Vietnam. Its natural habitat is subtropical or tropical moist lowland forests.